Palestinian agricultural workers’ advocate Samer Arbeed, the financial director of the Union of Agricultural Work Committees in the West Bank, was ordered to an additional three months’ administrative detention – imprisonment without charge or trial – by the Israeli military on 12 March 2016. Arbeed, a father of two, was arrested in his home in Ramallah on 14 December and ordered to administrative detention for three months on 24 December. Scheduled for release on 12 March, instead, he was handed an additional three months of extended administrative detention – again with no charge, no trial, and no evidence. The Union of Agricultural Work Committees has been repeatedly targeted. UAWC is a Palestinian agricultural and land defense organization that won the United Nations’ 2014 Equator Prize for its work on food sustainability. 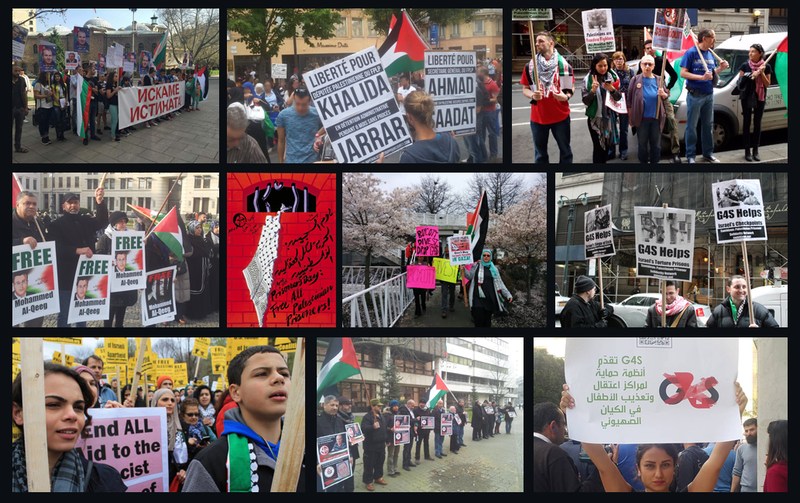 For over 28 years, UAWC has been in the forefront of defending Palestinian land and connecting with movements of agricultural workers around the world as a member organization of Via Campesina and a partner of the Landless Workers’ Movement (MST) in Brazil. Administrative director Abdul Razaq Farraj, released last year, was held under administrative detention for five consecutive orders; UAWC board members and office coordinators have repeatedly been imprisoned, often under administrative detention without charge or trial. Arbeed was previously the accountant for Addameer, the prisoner support and human rights association, where he was also targeted for imprisonment without charge or trial; this is his fourth administrative detention, having been imprisoned without charge or trial from 2003-2006, 2007-2008 and again in 2013.